working on your transformation today! 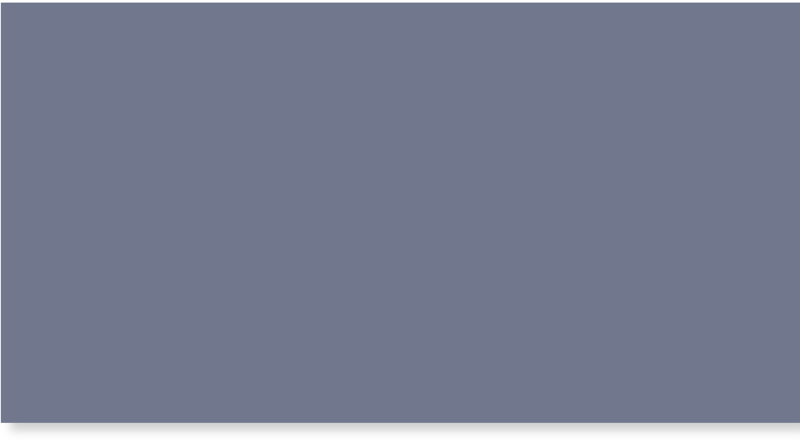 so we can work at eliminating it! of people who have kissed their back pain goodbye. 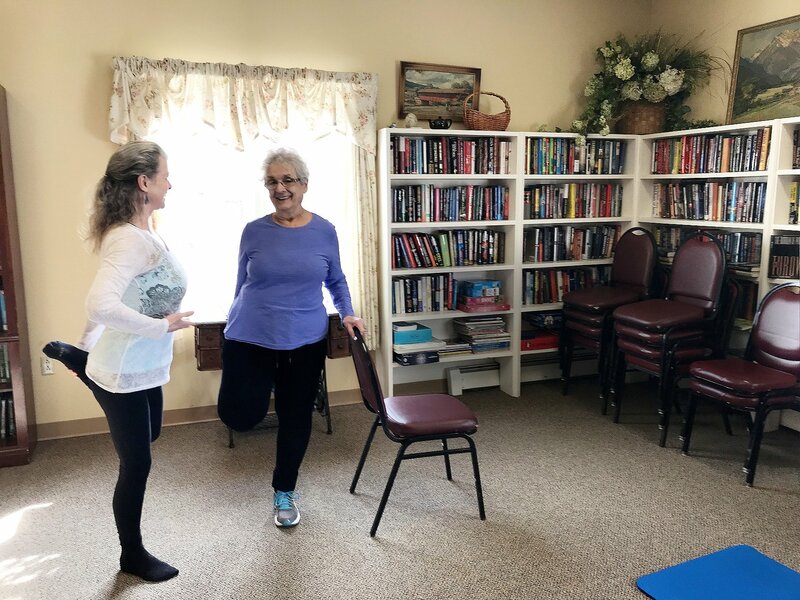 “Stop Back Pain – Kiss Your Back, Neck And Sciatic Nerve Pain Goodbye!” is the culmination of years of research on what works and what doesn’t. 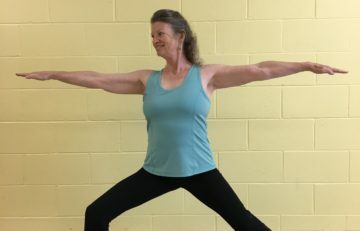 Kathi Casey has synthesized and integrated a practical and fun approach for understanding and transforming back pain. Hi! 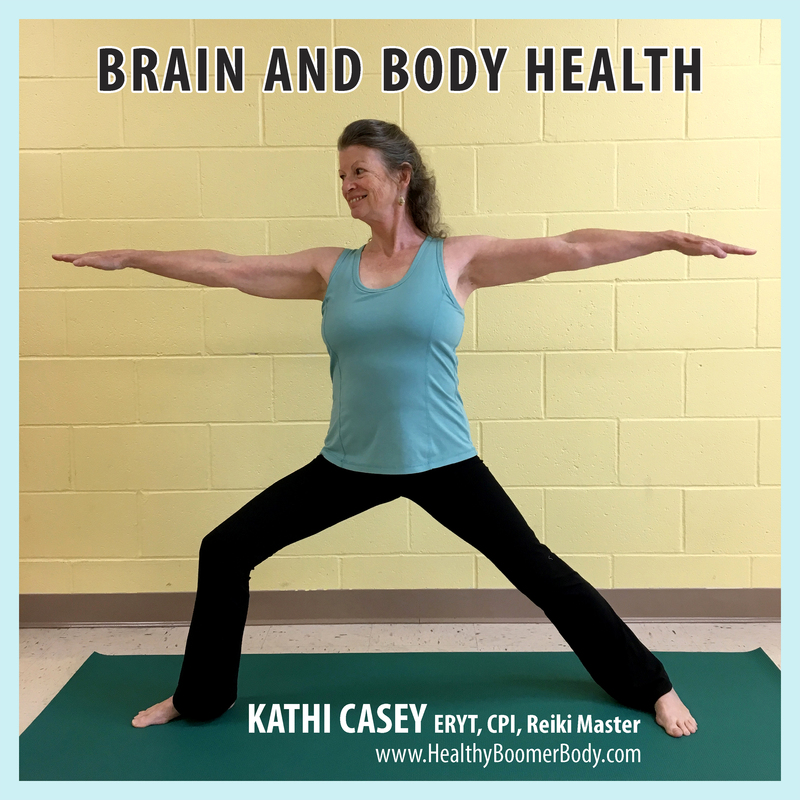 I'm Kathi Casey, "The Healthy Boomer Body Expert." I'm a health coach, Amazon bestselling author, popular columnist, speaker and radio show guest. 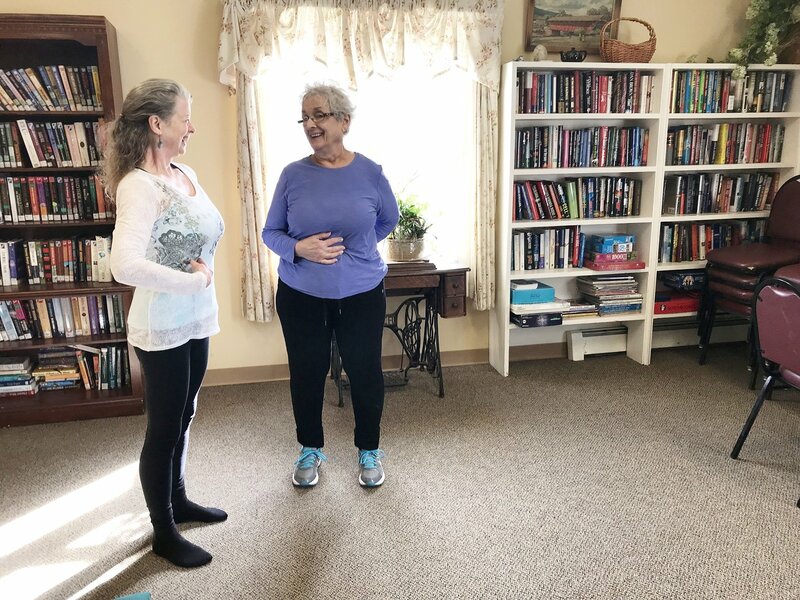 I've shared my techniques and exercises on Fox 23, ABC-8 Evening News, produce my own TV show, “To Your Health,” and I founded The Healthy Boomer Body Center in the Berkshires of Massachusetts. I'm a Registered Yoga Teacher; certified in Pilates, Acu-Yoga (the use of acupressure points and Yoga at the same time), and Ancient Ayurvedic Physical Health; I'm a Reiki Master also certified in Healing Touch. In addition, I have taken advanced training in Energy Healing, EFT, Somatics and more. I have a large toolbox filled with tools I can share with you to help heal yourself and live a healthy, passionate, joyful life! Get my FREE newsletter and receive two FREE audios, "Healthy Hips & Knees" and "Boost Your Brainpower Now". Then every month, you'll receive more fabulous tips, exercises and recipes to maintain your active, healthy lifestyle! 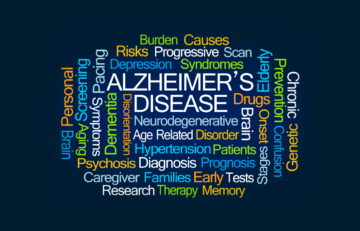 We have all seen our parents or older relatives suffer from the Dementia Demon. But, did you know there is a simple tool that is easy to use, and improves cerebral blood flow, increases grey matter and improves cognition? It's a meditation practice that takes only twelve minutes a day, and is recommended by the Alzheimer's Association. 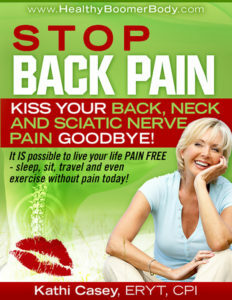 STOP Chronic Pain Now! Would you like Personalized Training for RELIEF of your Back, Neck, Hip, Knee or Sciatic Nerve Pain? This is your ticket to pain free living! I have helped thousands of people end their pain and regain their active lifestyle. You deserve to be pain free! How about weight loss coaching that tackles the real obstacles you're facing? Or, perhaps, you simply want more energy, more sleep, less stress? In Personalized Coaching, I look at your whole self to discover what the cause of your symptoms is. Then I give you tools that get you on the right path!